This menu is based on a Thai flavor profile, recipes by Beach Plum Chef/ the client specified vegetarian and seafood entrees – with an Asian fusion theme. This menu is intended to entertain, to invite, and to flow according to flavor intensity – building to the entrée. 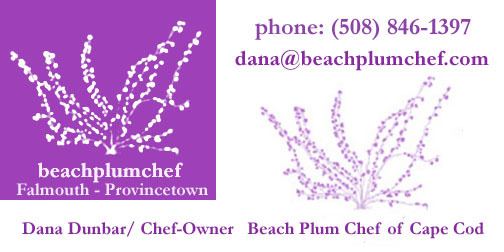 It is also composed for overall digestibility – a constant Beach Plum Chef priority. Crispy Fried Mung Bean and Caramelized Shallot Dumpling – two homemade barley flour dumplings stuffed w fresh leaf spinach, caramelized shallot, bean sprouts, sweet roasted garlic, jalapeno and coriander leaf.